A group of individuals interested in growing co-op culture in central Appalachia filled the meeting room March 22 at the West Virginia State University Economic Development Center in Charleston, WV when the Ohio State University CFAES Center for Cooperatives hosted the inaugural meeting of the Appalachia Cooperates Initiative. The group ranged from farmers and small business owners, to attorneys, credit unions, and cooperative business development agencies. Featured speakers included Dr. J. Todd Nesbitt, Professor in the Department of Sociology, Anthropology, and Geography at Pennsylvania’s Lock Haven University and Leslie Schaller, one of the founding members of Casa Nueva, a successful worker-owned restaurant cooperative and also the Director of Programs at the Appalachian Center for Economic Networks (ACEnet) in Athens, Ohio. Nesbitt, who has studied and developed a course on sustainability in Appalachia, shared “A Case for Economic Distributism in West Virginia.” Schaller shared the history and development of Casa Nueva and insights on the success of the cooperative business. Participants also heard from Gail Patton, Executive Director and Ursulette Huntley, Program Director at Unlimited Future, Inc., a non-for-profit microenterprise development center and business incubator, who shared their experience with the development of one of West Virginia’s first non-agriculture cooperatives. During lunchtime, attendees viewed the film, Shift Change, and learned about worker-owned co-ops not far from the Appalachian region and around the world. 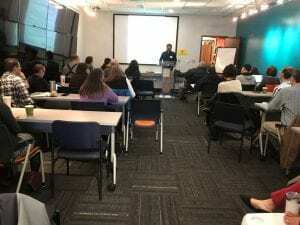 “Seeing how a worker-owned co-op can empower members of a community and provide jobs and economic growth for an area helped to spark some ideas among those in attendance,” said Joy Bauman, program coordinator at the OSU CFAES Center for Cooperatives. Daniel Eades, West Virginia University Rural Economics Extension Specialist and Michael Dougherty, West Virginia University Community Resources and Economic Development Extension Specialist led a discussion about challenges with developing businesses in Central Appalachia, ways Appalachian communities are uniquely positioned to develop businesses, and what resources and tools work well in Central Appalachia’s environment. This activity led to much discussion and discovery of ways those interested in growing the cooperative culture in Central Appalachia can network to assist each other and share solutions. 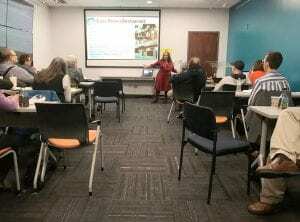 OSU CFAES Center for Cooperatives program manager Hannah Scott spoke about resources and technical assistance offered by the Center and encouraged participants to stay connected and consider becoming involved on a regular basis with the Appalachia Cooperates Initiative group. “Getting cooperative-minded people together to connect and learn from each other’s experiences will help them build a network that fosters cooperative business,” Scott explained. Scott said that the CFAES Center for Cooperatives will soon be planning another activity for those interested in the Appalachia Cooperates Initiative, and that she hopes to hold quarterly events for the group over the coming year. If you are interested in developing co-op culture in Central Appalachia, for more information, or to be added to the Appalachia Cooperates Initiative email list to be notified about upcoming events, contact Joy Bauman at 740-289-2071 ext. 111 or email bauman.67@osu.edu. Employee ownership can be a business retention strategy in under-invested communities. These co-ops retain jobs and anchor businesses in communities. Read more about worker-owned co-op conversions in the Winter Issue of the Cooperative Business Journal. 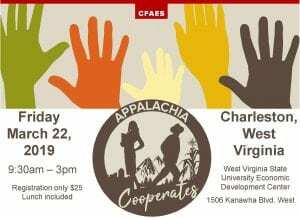 Worker-ownership is one of the topics we will explore at our upcoming Appalachia Cooperates Initiative meeting on Friday, March 22 at the West Virginia State University Economic Development Center, 1506 Kanawha Blvd. West, Charleston, WV. Registration is $25 and includes lunch. Learn from practitioners growing co-op culture in Appalachia. Join discussions about growing co-ops in our region and creating the Appalachia Cooperates Initiative. Learn about worker-owned co-ops across the globe with a lunchtime showing of the film Shift Change. The Center for Cooperatives and partners are growing co-op culture in Appalachia! Join us on March 22, 2019 at West Virginia State University Economic Development Center in Charleston. Check back soon for registration details! Hoover, M. & Abell, H. (2016). The Cooperative Growth Ecosystem: Inclusive Economic Development in Action. Project Equity and the Democracy at Work Institute. Low salaries, high turnover and lack of employee engagement are prevalent in food service. Eight food entrepreneurs had a solution; they would create a restaurant that empowered employees through ownership. 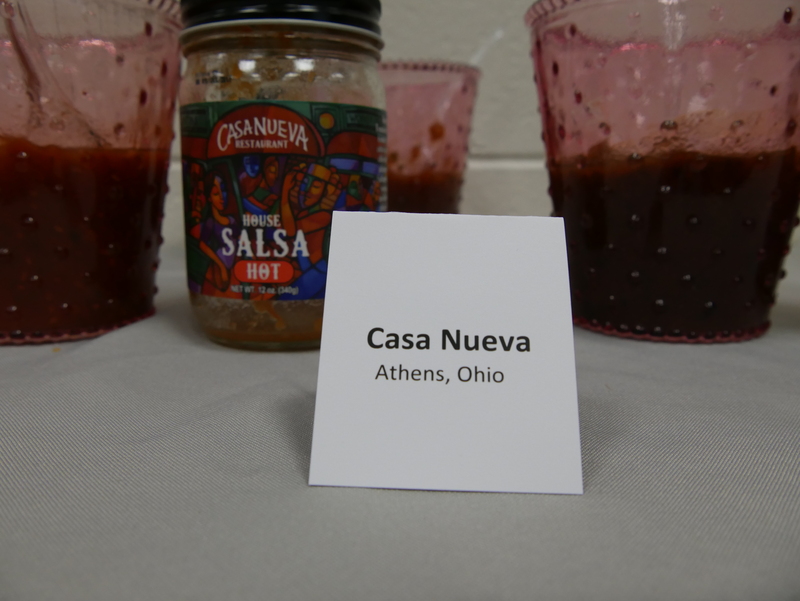 In 1985 they opened Casa Nueva, the first worker-owned cooperative restaurant in Ohio, in the heart of downtown Athens. 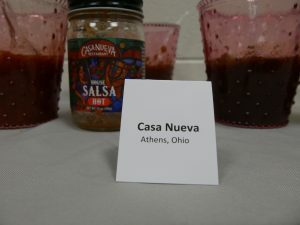 In 1987 Casa Nueva worked with the Appalachian Center for Economic Networks (ACEnet) to develop and market a product line of salsas and other value-added goods. The restaurant added a cantina in 1993, and a second kitchen in 2003. Casa Nueva carries out daily operations with the help of worker-owners and non-owners (associates). 1/3 of staff are worker-owners, 2/3 are associates. Associates have an opportunity to apply for ownership after working 1000 hours in the restaurant, serving on special committees and earning positive performance evaluations. The co-op board of directors vote to approve or disapprove the associate’s application for ownership. All new owners contribute equity. The cost is offset by a raise that goes into effect when an associate becomes a member of the cooperative. Other benefits of membership include: voting rights, paid time-off, insurance and scheduling preference. For over 30 years Casa has provided worker-owners with meaningful work, sustainable jobs and opportunities for advancement. Fresh ingredients, Mexican-inspired flavors, culture, music and art delight locals and students of Ohio University, the city’s main economic driver. The United States Federation of Worker Cooperatives is gathering data on worker co-ops and other democratic workplaces in their annual census. If you are a worker co-op or other democratic workplace, please consider responding. Reliable data contributes to cooperative development in many ways!